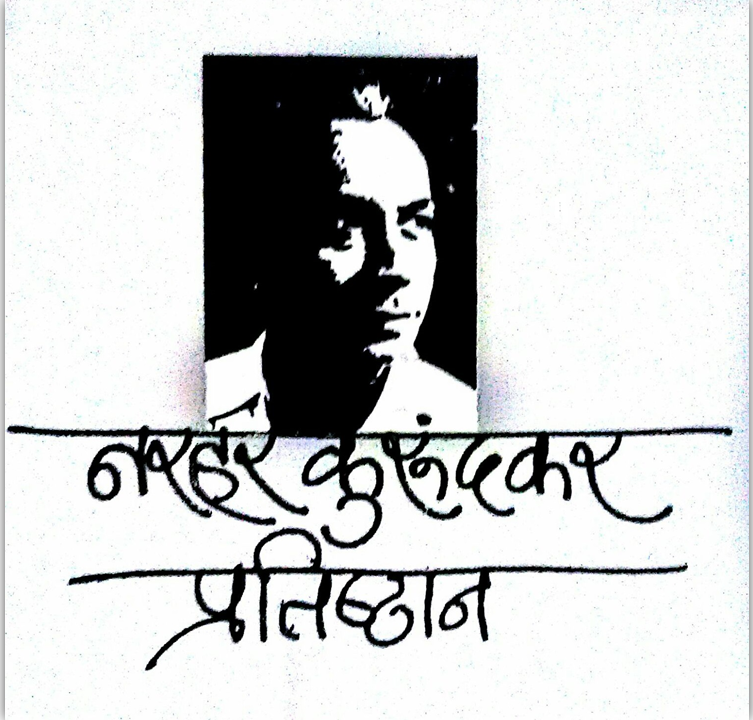 Narhar Ambadas Kurundkar (Devanagari: नरहर अंबादास कुरुंदकर) (15 July 1932 – 10 February 1982) was a Marathi scholar, critic and writer who wrote on political philosophies in general and cultural matters and historical events in Maharashtra, India. Kurundkar was born on 15 July 1932 in the town of Nandapur (Dist. Parabhani) in the Marathwada region of Maharashtra. After his high school education, he joined the City College in Hyderabad. In his first two years in college, he often skipped classes and spent most of his time at the State Library in Hyderabad, voraciously reading books on History, Culture, Religion, philosophy, Education, Literature, Politics, and Economics. Through inattention to preparations for his college examinations, he failed to pass the second-year college examination even after a few attempts, and he quit his pursuit of a college degree (until some years later). Developing socialist ideas in his mind, Kurundkar became for a while a labour leader of the local rickshaw drivers' union. Later he became, for the rest of his life, an ardent member of Rashtra Seva Dal. In 1955, he started his teaching career at Pratibha Niketan high school in Nanded. While teaching, he resumed his pursuit of college degrees in Humanities. After earning in 1963 a master's degree from Marathwada University, he joined the faculty of People's College in Nanded as a professor of Marathi. He later became principal of that college. All of Kurundkar's literary work reflected the idea of supremacy of logical thinking. (He had said that he had imbibed that idea from his father and one of his high school teachers.) Bertrand Russell was his role model: He shared Russell's thinking and reasoning. Besides being a deep thinker and a littérateur, he was a social activist. He was associated with Jayprakash Narayan's Total Revolution; Agitation for the Development of Marathwada; Vinoba Bhave's Teachers' Congress (आचार्य कुल); and the Fear Not movement opposing the dictatorial "national Emergency" imposed in 1975 by the then Indian Prime Minister Indira Gandhi. Kurundkar was a member of Maharashtra Government Literary Awards Committee. He represented Maharashtra in the Sahitya Akademi, New Delhi. Kurundkar died due to a massive heart attack on 10 February 1982 while giving a public speech on Indian music at Aurangabad.